Kilter Termite and Pest Control has been providing rodent control for homeowners in La Mesa, California, and all nearby areas since 1991, and our experience has taught us how important it is to seek professional service quickly after an infestation is detected. Rats and mice are vectors for serious diseases and, in short order, their urine in droppings can make a home unsuitable for a family to live in. To make it easy for homeowners to take the first step after they suspect a rodent infestation, we offer free, no-obligation inspections. After one of our experienced technicians has inspected your residence, we’ll provide our report and recommendations, so you can make the best decision for your home. If you decide to use our services, we’ll get to work right away, sealing entry points and installing our advanced rodent control system. 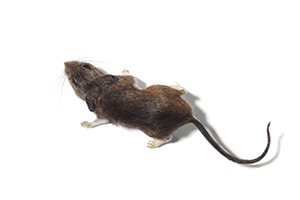 We’ll then return to your home at regular intervals to remove rodents and bait new traps. Only after we are absolutely certain that no rodents remain will we consider the job complete and provide you with our industry-leading two-year warranty. We also understand that homeowners want a single solution for their rodent problems. Throughout the treatment process, we’ll also help with cleaning to restore sanitary conditions to your home. We can even replace tainted insulation with premium TAP Pest Control insulation, which will help prevent future infestations. Get a free rodent inspection at your home in La Mesa, CA, and learn more about our rodent control methods by contacting Kilter Termite and Pest Control today.